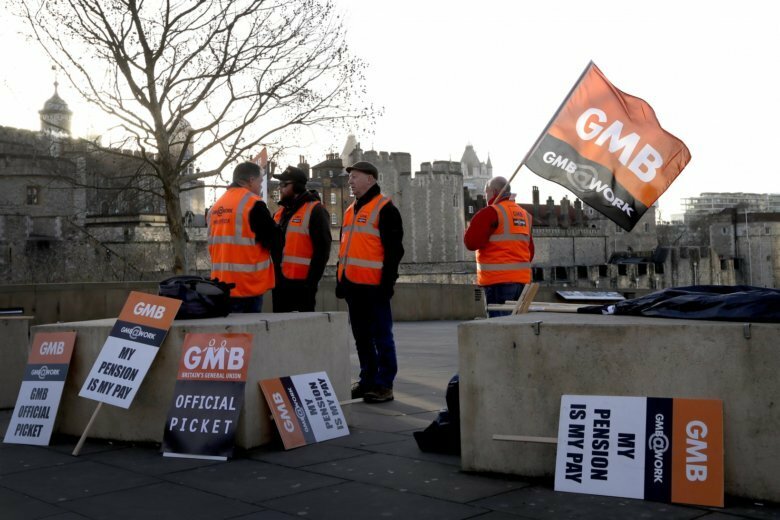 LONDON (AP) — Workers at the Tower of London and Hampton Court Palace — including some of London’s famed Beefeaters — are on strike in a dispute over pensions. The historic attractions, among London’s most popular, remained open Tuesday despite the work slowdown, which is the second in the last two months. The dispute is between workers and Historic Royal Palaces, which operates a number of prominent sites in Britain. Union officials say a recent settlement offer was not good enough. The Tower of London houses the Crown Jewels and has long been one of London’s most visited sites. The ceremonial guards at the Tower, known popularly as Beefeaters, are instantly recognizable by their ornate black and red uniforms.